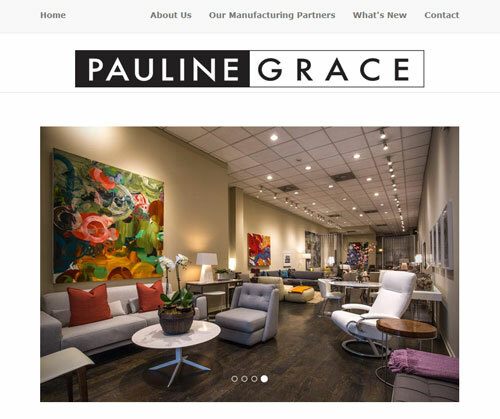 Pauline-Grace is a Chicago based interior design and contemporary furniture store. Working directly with Pauline-Grace, DigitalWork designers developed a new website that serves to showcase the unique furniture and aesthetic of Pauline-Grace in their downtown Chicago store. The site was built to optimize the user experience of mobile web users which also benefits their search results on Google. The new site allows for Pauline-Grace to control new image uploads themselves or send that process back to their DigitalWork designer to take care of. A mobile optimized map, a slideshow, and vanity email were also added as part of their basic Business Builder design package. Showcase their work and typical customer type. Unify their color scheme with other marketing materials. Link to their social networking and Better Business Bureau presences. When B & C Automotive & Custom Works first contacted DigitalWork they did not have a website. So, after visiting the customer at their place of business, discussing goals for the website, and collecting supplementary marketing materials our DigitalWork designer developed a new website, www.bcautomotivecustomworks.com. The new site integrates with the customer's existing marketing materials and highlights their YELP, Facebook, and Better Business Bureau pages. All website pages have customer editing functionality, so B & C can log-in and choose to add content or they can continue to work with their DigitalWork designer for updates as part of their monthly service. The site is optimized for Mobile web traffic and includes a map and a coupon page. We think it looks great. Check it out!